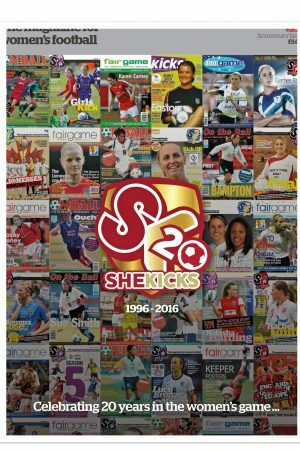 Issue #53 is at the printers and is due for distribution on Friday 5th April. You can order your copy now for only £4 inc UK postage. 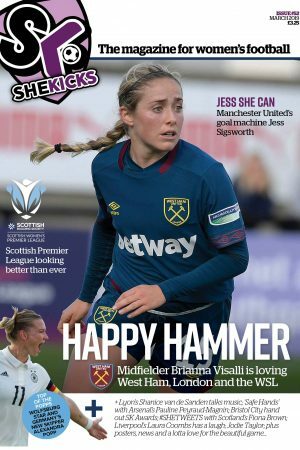 Plus…our regular features, posters, round-ups, quizzes and columns. 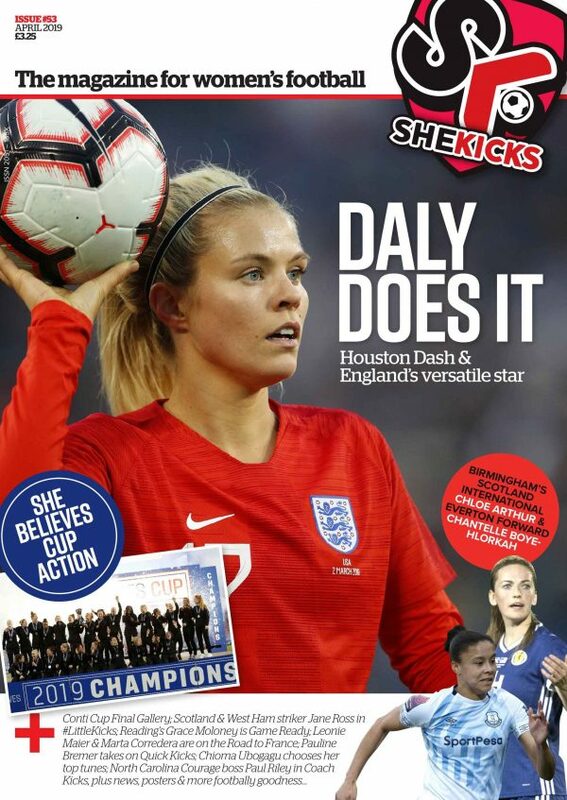 You can buy a 7-issue subscription to She Kicks for only £22 (inc UK p&p). Click HERE for more information.